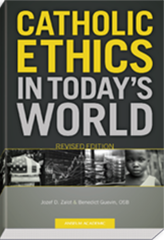 View cart “Health Care Ethics, Revised Edition” has been added to your cart. 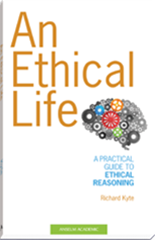 In their thought-provoking and insightful revised introductory ethics text, authors Michael Panicola, David Belde, John Slosar, and Mark Repenshek address complex and controversial health care issues that are very much a part of our everyday lives. 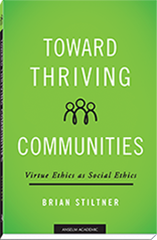 Using a normative framework, the authors incorporate specific issues, case studies, and multimedia aides in each chapter to encourage students to engage in moral discourse and reflection. 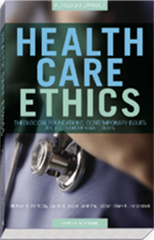 The authors’ stimulating faith-based discussion of how particular circumstances in society have an impact on ethical decision making is a significant contribution to our understanding of the complex relationship between health care issues and ethics. 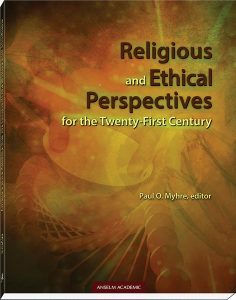 Linking new material, including chapters on the patient-physician relationship, regenerative medicine, the pharmaceutical/device industry, and health care reform, to classic chapters on reproductive technology, abortion and maternal-fetal care, stem cell research, genomic technologies, and end-of-life care, the authors underscore the important real-life concerns and issues that confront people in their daily living and the need to discern these concerns and issues with the goal of attaining human and social flourishing. Key additions to the revised text include a glossary; updated facts, figures, tables, and statistics; new case studies; chapter discussion questions, including social-ethics questions; and social analysis. Michael R. Panicola, PhD (Saint Louis University), is corporate vice president of ethics for SSM Health Care in Saint Louis, MO. David M. Belde, PhD (Saint Louis University), is administrative director of ethics and mission for Bon Secours Richmond Health System in Richmond, VA.
John Paul Slosar, PhD (Saint Louis University), is director of ethics for Ascension Health in Saint Louis, MO. Mark F. Repenshek, PhD (Saint Louis University), is a health care ethicist for Columbia Saint Mary’s Hospitals in Milwaukee, WI.